Depending on the appraiser certification desired, several hundred hours of field work experience will be required. Although Appraisal Qualifications Board documents refer to licensed residential appraisers, the state of Pennsylvania offers no such license. A certified residential appraiser must complete 1,500 hours of field work experience in no fewer than 12 months. A certified general appraiser must complete 3,000 hours of field work experience in no fewer than 18 months. 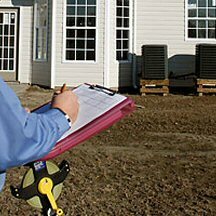 Field work by licensed appraiser trainees can be performed only under the direct supervision of an individual who has been a certified residential or certified general appraiser for at least five (5) years, and has completed the relevant supervisory trainer course required by the Appraisal Qualifications Board. It can be difficult – but it’s not impossible – to find an available and qualified supervisor. Many appraisers who qualify as direct supervisors usually work with one licensed trainee at a time. However, board regulations allow licensed appraiser trainees to have more than one supervisory appraiser, and supervisory appraisers have the ability to supervise up to three trainees. All field work must be documented in an appraisal experience log. The supervisory appraiser and the licensed appraiser trainee share responsibility to ensure the appraisal experience log is accurate, current, and complies with the state’s requirements.